On October 10, 2017, UACT and 22 NGOs working on cancer in South Africa, submitted comments to the South Africa on the Draft South Africa IP Policy. We write to you on behalf of the Union for Affordable Cancer Treatment (UACT), a union of people affected by cancer, their family members and friends, people who take care of people with cancer, health care professionals and cancer researchers committed to increasing access to effective cancer treatment and care. 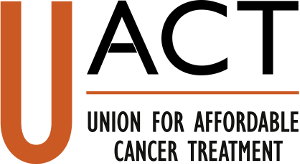 UACT is particularly concerned about the rapidly escalating cost of cancer medication and seeks to fight for cancer treatment and care to be affordable and available, everywhere, for everyone who needs it. UACT wishes to offer some brief comments on the Draft Intellectual Property Policy of the Republic of South Africa, Phase I 2017, specifically with regard to IP and health. We appreciate that the draft takes positive steps but would like to see South Africa go further in implementing policies that make “access to medicines for all” a reality. Positive language on the important role of voluntary licensing, with particular emphasis on the transparency of terms and conditions in such licenses as exemplified by the Medicines Patent Pool. Recommendations on the use of compulsory licensing reflecting steps needed to make the process more streamlined and less encumbered by a litigation process; government use licenses as a viable legal tool relevant to the state’s obligation “to take reasonable legislative and other measures to progressively realize the right to have access to health care services…[including] the utilization of TRIPS flexibilities such as Article 31 (b), in full accordance with South African law;” and engaging with WTO to streamline the cumbersome Paragraph 6 mechanism on compulsory licensing for export. Recognition of the importance of multilateral cooperation, particularly noting the work at the WHO on addressing “issues such as lack of affordability, limited research where market returns are small or uncertain . . “ and noting delinkage as among the core principles of the WHO Consultative Expert Working Group. UACT notes the use of TRIPS flexibilities and the principle of delinkage were recommended as key strategies to improve policy coherence in the UN’s 2030 Agenda for Sustainable Development and in the 2016 Report of the UN High Level Panel on Access to Medicines. UACT is concerned that South Africa has not acted to induce non-voluntary licensing of drug patents since 2003 in the Hazel Tau case, and that case involved the independent RSA Competition Commission, rather than an executive agency. “Compulsory licence shall be available for manufacture and export of patented pharmaceutical products to any country having insufficient or no manufacturing capacity in the pharmaceutical sector for the concerned product to address public health problems. . . ” [emphasis added]. Non-voluntary use of patented invention in the field of use of a drug, vaccine or other medical technology shall be allowed, subject to the payment of a reasonable and affordable royalty, whenever a drug or vaccine is not available at a price that is reasonable and/or affordable for the general population or any significant group of potential patients, and there is evidence that access is limited due to the price. A decision that the price for a product is not generally reasonable and/or affordable can be made either by the Ministry of Health, the premiers of any provinces, the South Africa Competition Commission, or by any judge in a lower court. The second approach is similar, except that it is framed as a limitation on remedies, under Article 44.2 of the TRIPS. The advantage of the second approach is that avoids the restrictions in the WTO relating to Article 31 of the TRIPS, such as a requirement for prior negotiation on reasonable commercial terms and condition, and it does not limit exports. The limitation on remedies is the approach taken in the U.S government use statute (35 USC 1498) and the U.S. Biologics Price Competition and Innovation Act of 2009 and the dozens of compulsory license that have been issued in the United States by the courts in the context of the enforcement of infringements. The remedies for infringement of a patent on an invention in the field of use of a drug, vaccine or other medical technology shall be be limited to the payment of a reasonable and affordable royalty, whenever a drug or vaccine is not available at a price that is reasonable and/or affordable for the general population or any significant group of potential patients, and there is evidence that access is limited due to the price. A decision that the price for a product is not generally reasonable and/or affordable can be made either by the Ministry of Health, the premiers of any provinces, the South Africa Competition Commission, or by any judge in a lower court. We believe option 2 is best, although either approach would be a vast improvement on the current law. In addition, as part of the streamlining of the procedures, UACT recommends South Africa adopt royalty guidelines for non-voluntary licenses, considering, for example, the 2005 WHO and UNDP royalty guidelines as a model. One of the topics not discussed in the Draft Policy concerns transparency, particularly as it relates to the management of intellectual property rights and the economic factors that are relevant to the pricing of medicines, vaccines and other medical technologies. As one country, the RSA has limits on the leverage it can exercise to ensure transparency, but there are measures it can take, and the government can also work with others in fora such as the World Health Organization to promote standards on transparency. At a national level, the RSA could require the following transparency measures, all of which are designed to public and to benefit and inform the general public. An annual reporting of yearly and cumulative sales earned by every drug or vaccine registered for sale in the RSA market that does not face competition from a generic product. For each new drug registered in the RSA, the amount of money spent on each clinical trial used to justify the registration of the drug, and all public subsidies including tax credits that were relevant to each trial. The patent asserted for every drug or vaccine, including an explanation of how each patent is relevant to the drug, making a failure to disclose sanctioned by an elimination of damages or inductions, as in the U.S. Biologics Price Competition and Innovation Act of 2009. Require transparency of all royalty patents on patents granted in RSA to patent holders. Require all patient assistance programs in South Africa to provide information on the criteria for assistance, the number of requests and the number persons receiving the assistance. For drugs or vaccines where there is a public interest in ensuring adequate access, the Ministry of Health should be allowed to require the manufacturer to disclose the units sold in the RSA. On the topic of delinkage, South Africa should consider working with key partners to encourage the World Health Organization, UNITAID or another body to undertake a study of the feasibility of delinking prices for cancer from R&D costs, and proposal that was debated during the 2017 World Health Assembly in the resolution on cancer. We welcome the opportunity to engage in further dialogue with your government as you continue to work on these issues.